Wow! Where do I even begin? When I left Chicago snow was falling and yes, I love that! 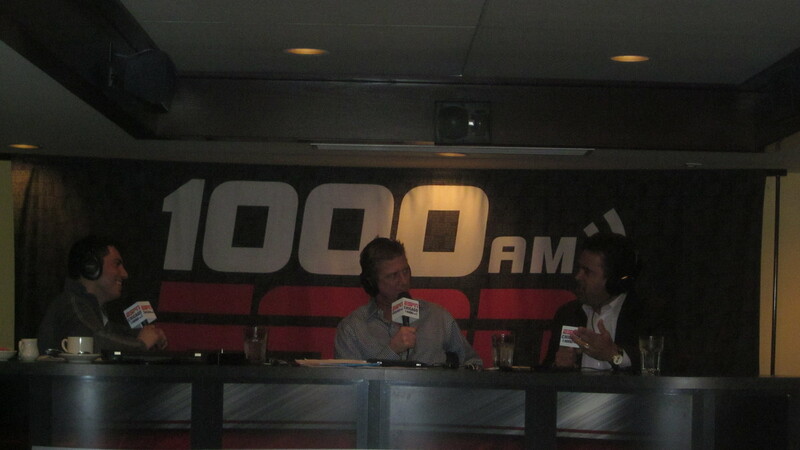 Before I left, though, I sat down with the guys from ESPN 1000 at Morton’s Steakhouse for “Lunch with a Legend,” and what a turnout. It was a great feeling seeing so many people there and I want to thank everyone that came out! Waddle & Carmen could be the best in Chicago; it was a very classy event and they ask the tough questions. There is a right way to do things and then there is a way to do things while being a jerk and sarcastic. That’s why I want to thank everyone from ESPN 1000 for always being so classy and doing things the right way. Right now I am in Miami (just got to Jupiter) and I couldn’t be happier because all of the guys are fun and loose, they just want to go out and have some fun. Or maybe it’s just because I was around Jose Reyes. Being around that guy’s energy is just contagious. During the Marlins Caravan last week we went to hospitals, schools, senior citizen centers and then had a blast golfing with the Miccosukee Tribe. Those guys can play some golf! It’s always great seeing my guys Carlos (Zambrano) and Mark B. (Buerhle). Carlos got slimmer and Mark was being his usual self. Mike Stanton is a house and Logan Morrison is … LoMo. He’s just a fun guy to be around. Hanley (Ramirez) seems ready to go, and looks like he has been working very hard this offseason. Now it’s finally time to go out there, have some fun and play ball. To be completely honest I am really looking forward to this year. I hate saying this, but that stadium is just unbelievable, there are no words to describe it! I was there with Jose the other day for a photo shoot and the guys had me rollin’ the whole time. He is just funky and I love it. Emilio Bonifacio and Omar Infante are great together. It’s always good to see everyone hang out and get along. Looks like big boy Josh (Johnson) is ready to go as well. I just can’t wait to get out there and smell the pine tar and hear the bat hitting the ball. It sounds stupid, but that’s why we all love this game. I want to say good luck to everyone in baseball before we get started. I hope this is a great year and everyone stays healthy. 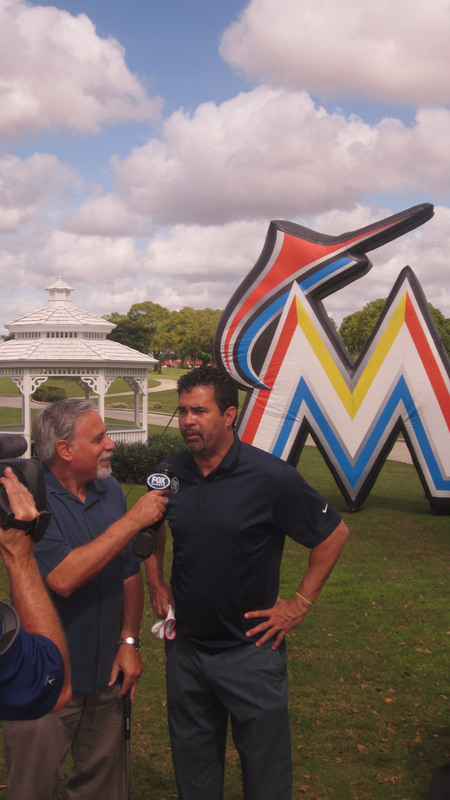 Also, keep an eye out for an album that I will post tomorrow of the “Lunch with a Legend” event and the Marlins golf outing! As a life long Sox fan transplanted here to Palm Beach Gardens in 1980, I look forward to seeing you in Jupiter for the spring. You have always been a great leader, whether on the field or in the dugout and it’s going to be a great season for the Marlins!